Things are changing fast. By the weekend every picture I've taken will be out of date - so here's an interim report . . . of Spring. Hawthorn leaves are still delicate. When the sun shines on them, they are light and fresh and one's spirits rise. 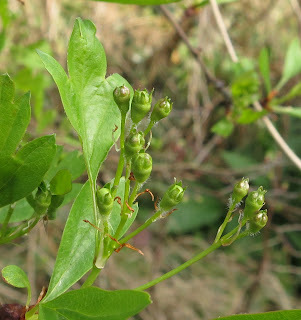 It's easy, though, to miss the flower buds forming. Blackberries - some leaves are bursting. Not many yet - but here they come. Still spiky and leafless - blackthorn. A few flowers are opening. 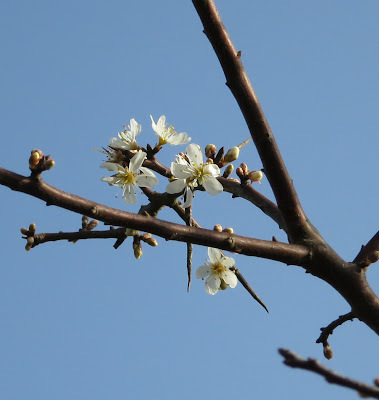 Seeing the first blackthorn flowers open is always an exciting moment. And the elder shoots we've been watching. You can tell the weather is dry. When it rains, the orange lichen turns green. A bulletin, then, this post. Spring should be re-named sprint. add your link to this list. It's always nice to see the fresh green growth that comes out in the spring. 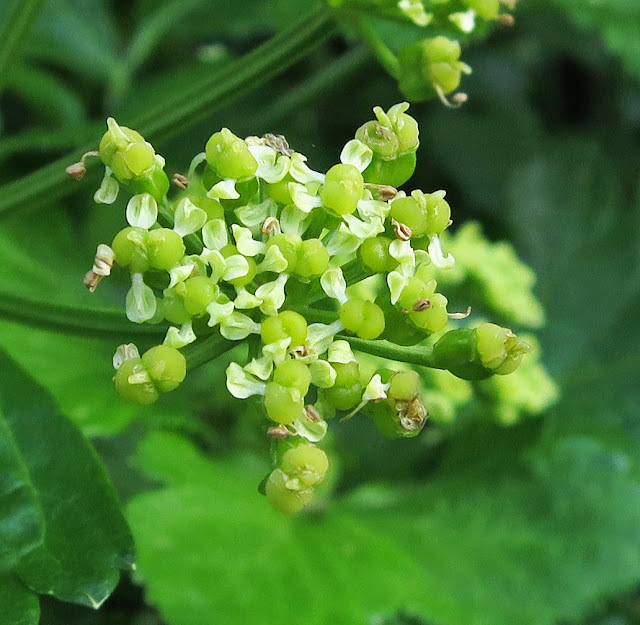 Looking forward to your updates especially with the Alexanders once they are in full leaf! We have a racing spring here too...maple flowers finally burst on March 13th 3 weeks early....I love your elder sprouts...so cool. The Alexanders are lovely, they look so lush. You're right, spring is flying by, it only takes hours for something to become old news. I love the Alexanders too, I'm so glad we have them in our area. It's amazing the pace of spring. 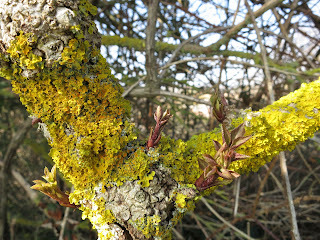 I have been monitoring the magnolia buds this week but with all the fog we have had, has slowed things down! I love the photo of the Blackthorn against the clear blue sky. When you get a nice Spring day, it's really nice - invigorating, not hot. Alexanders are, apparently edible but have a bitter taste, have you ever eaten them? Gorgeous Spring photos. I'm familiar with the name Alexanders and know it was a pot herb. 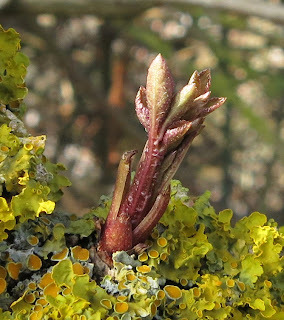 I've seen it growing in the garden at BayLeaf at the Weald and Downland Museum in Sussex - and I still wouldn't recognize it if I saw it growing! It's very annoying!! Wow, your hawthorns there in Dorset are way ahead of our's here in Pembrokeshire. Most of the buds are not burst yet.